I need to show hidden files on Windows 8.1 because I know how to do it on a Mac while creating a video tutorial for my other blog, and because I am too curious about it, so I looked for the answer of it. In previous Windows OS versions, I was familiar with it and I guess you are too, however with version 8.1, it is very different due to the ribbon menu. I also wrote this specific tip about disable the start screen and check your Windows system, feel free to check it out if you need it. However, like in every other things, it’s easy once you know it. I also found a good tutorial about it on tomshardware.co.uk. So let’s take a look on how we can show hidden files on Windows 8.1. I am using the pro version, but like I said in the video, I guess this will work with other versions. Once you opened your Windows Explorer, you will see menu tab on the top, and by default, Ribbon menu is minimized. 1. You go to the small arrow button on the top (1) and click it, make sure that the “Minimise the ribbon” is unchecked. Pic 1. To show ribbon, the option should be unchecked. 2. You toggle the small arrow on the top right corner on and off. Pic 2. the arrow to show ribbon menu, and “View”, “Hidden items”. 3. You click on “Pin” icon, so the ribbon will stick. 1. Open any folders you like to show the default hidden items. 3. Then, still in “View”, in “Show/Hide” option you will have the “Hidden items” option. 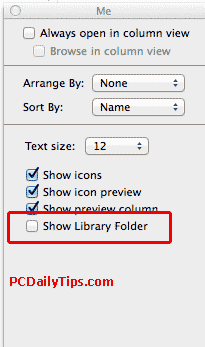 Check this option, and you will see the hidden items in your folder. To hide the items again, check the option off. One note though, Windows is hiding these files for some reasons, so when you don’t really need to show it, I strongly recommend leave it hidden.